A phrase I often employ in my day job is "share the love." It means I want people to have all of the tools they need to succeed. Pretty simple concept right? Unfortunately, you find those who want to miser away information for their own purposes. I'm a share the love kind of guy. 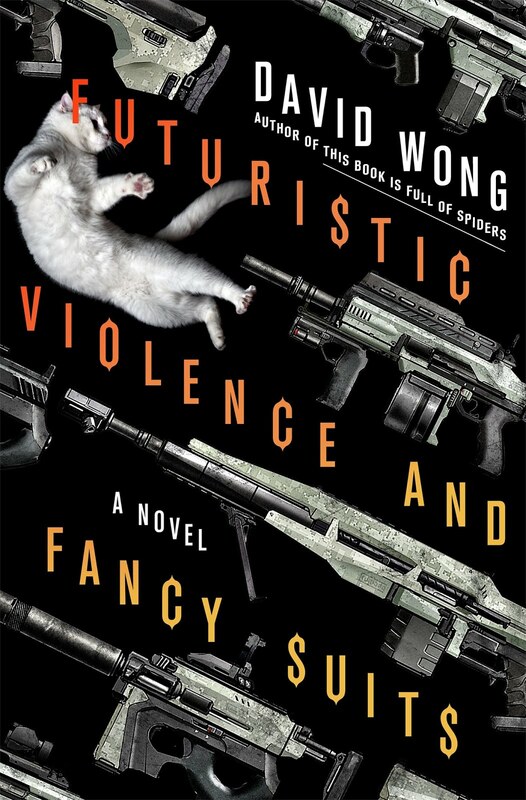 A few months ago, my critique group decide to change our approach from hard copies to soft copies. For me, this is awesome, because a) I hate to write anything in long-hand. I really think I just don't have the patience for it which leads me to b) I have penmanship that makes doctors look like they're writing in Times New Roman. 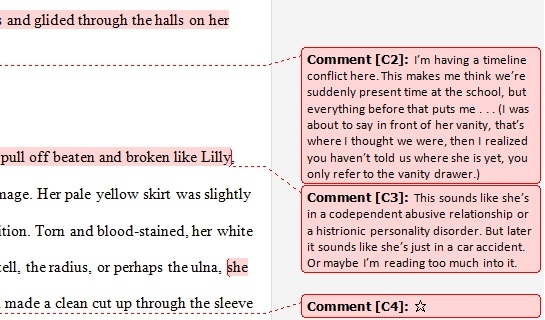 If you've critiqued in Microsoft Word and added a comment, you know that the font is teenie-tiny and if you try to change the font size using the font selection in ribbon at the top of the screen (as you would in the body of the work) you know that has absolutely ZERO affect. The result of trying to do this only serves to increase my frustration. The irony runs thick here because Word wasn't really made to be effectively used by writers (I've heard it said many a time). This will open up a Styles box. Jump to the bottom of the box where there are three small square buttons with that same double A image. Going from left to right, click on the last one. That will open up the Manage Styles menu with the Edit tab on top. You'll see, Select a Style to Edit and a bunch, yea even a plethora, of things you can change. From this list, you'll want to find Balloon Text. The list is not necessarily in alphabetical order and the options won't necessarily be in the same order each time you do this. 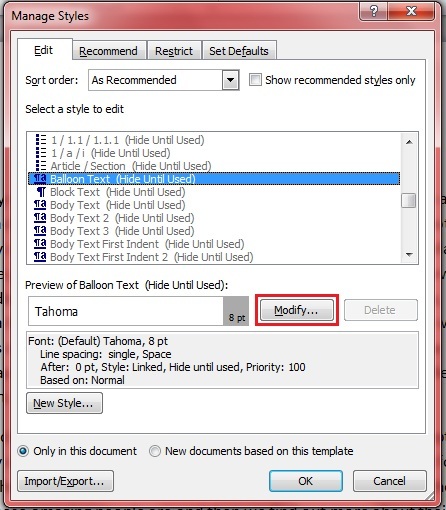 Select Balloon Text then the Modify . . . button just to the right of the current font style and pt. This opens up the Modify Style box. 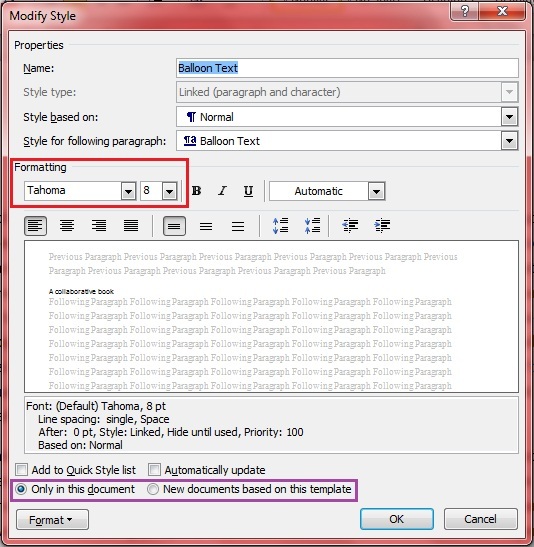 It is here that you can set the font style and size for the Balloon Text, or your comments. Next, repeat the above process, but instead of Balloon Text, select Comment Text. It's a mere thirteen clicks below Balloon Text. Notice at the bottom, in the purple box, you have the option to select for Only in this document or New documents based on this template. 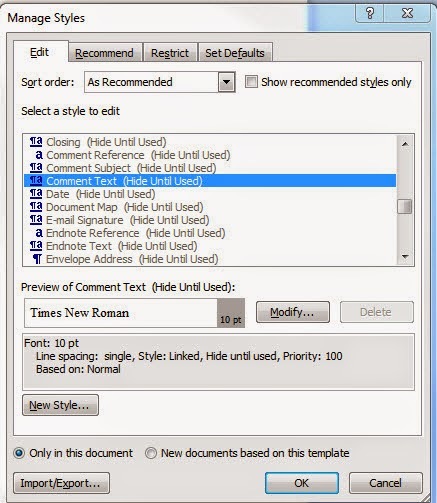 If you select New documents based on this template, then anytime you open a NEW doc from within MS Word, these predetermined settings will apply. 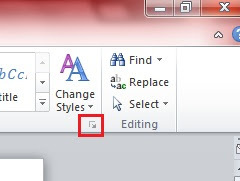 If someone sends you a Word doc and you download, well, MS Word does not see this as a new doc, so whichever settings they had when they created the document will be in effect and you'll have to manually set them. You could also open a new doc and copy paste the text from the downloaded doc into your new doc. That will work, too. Click OK. Then OK, again. You'll get your desired font style and size. And if you want to include a star for the stuff you really like, and we all know that you should because it's a part of a good critique, then hold down the ALT key and using the number keypad on your right, type 9734. Don't use the number keys that run across the top of your keyboard, it won't work. To repeat, that's ALT 9734. 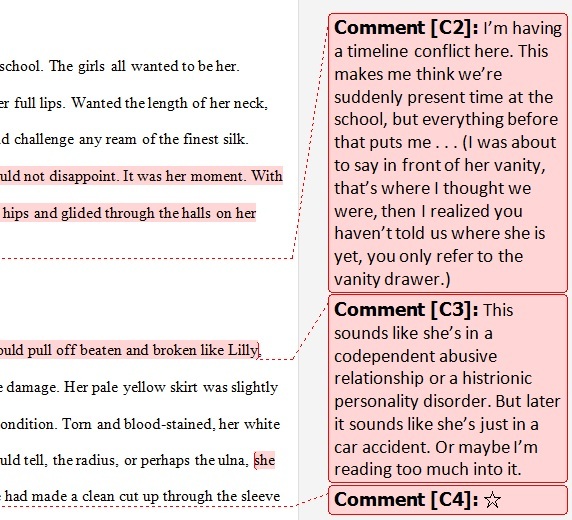 Often I can do it once and then just copy and paste it for any additional uses (and I have many additional uses 'cause the writer's in my critique group rock!). Awesome and amazing! Now if I can manage to survive your word verification pit of despair, you might see this comment. Thanks for sharing, Chris. I used to work as an applications instructor and taught Word classes to adults. The looks on my students' faces when I showed them something new and useful (like this) was priceless. You're such a giving guy... I've tried it out but I get lost mid way as I'm on a mac - or maybe because I'm crazy tired and up too late on too little sleep. lol But I don't like teeny tiny, and size matters. 'Because they help much clear understanding'?